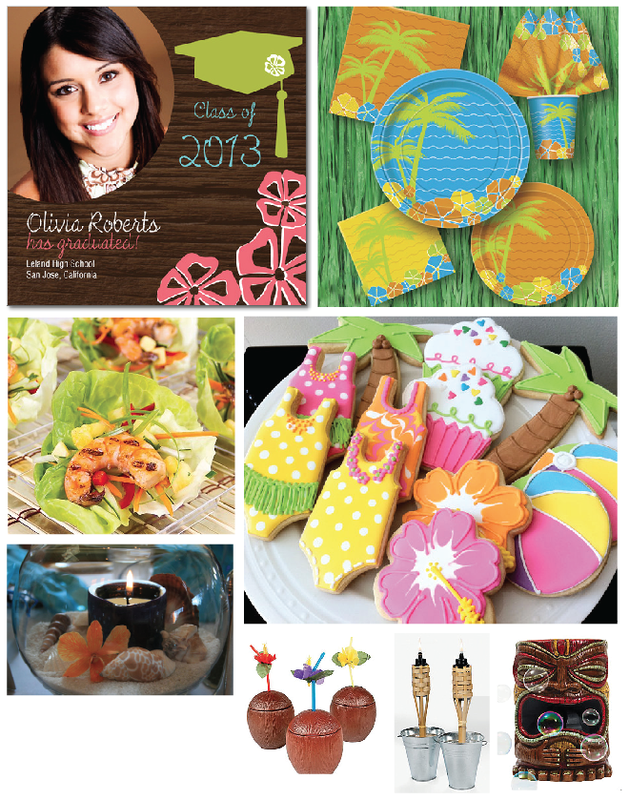 Looking for a fun theme for you Graduation Party? You can’t go wrong with a Luau theme! Always easy to find decorations and party supplies for this theme, plus some great food ideas. My son and niece are graduating this year and we are hosting a joint party. To personalize the party we are making flag banners out of photos of them growing up and will hang those in the backyard. I also plan to make personalized favor boxes filled with little candies and personalized coasters. I just need to sit down and plan everything. It’s kind of like the cobbler’s children having no shoes, I get so busy designing things for work that I have no time to do my own party! Better get started before I run out of time!